In its first two seasons, Netflix’s One Day at a Time announced itself as a traditional, multi-camera sitcom. It was filmed in front of a live audience, whose laughter put punctuation marks at the end of every quip. Each time the legendary Rita Moreno (who plays Lydia, the abuela of the Alvarez family) entered with a flourish, loud applause would follow. The jokes sometimes got a little corny, but the series, updated from the original Norman Lear version to focus on a Cuban-American family living in Los Angeles, dealt with contemporary social issues in such a timely, nuanced way that its assets far outweighed any issues. All of these things are still true in season three of One Day at a Time, which starts streaming today on Netflix. 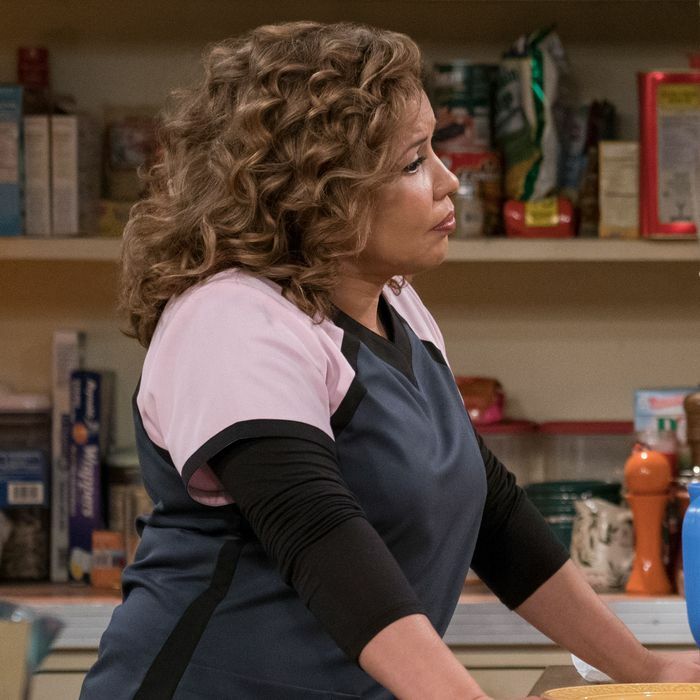 It continues to be structured in the classic sitcom mold, Moreno still swivels her hips into every room with vigor, and while the subjects it tackles remain serious — this go-round includes drug use, the #MeToo movement, and gentrification — the show handles them with the proper mix of gravity and lightness. As overseen by showrunners Gloria Calderón Kellett and Mike Royce, it is still a good, refreshingly openhearted show. But in season three, its sitcommy-ness also shows a bit more obviously than it did in the first two. Once again, our anchor is Penelope Alvarez, the Iraq War vet and single mom played by the terrific Justina Machado, who is now studying for her nurse practitioner exam, trying to manage her anxiety and PTSD, and doing both while raising two teenagers: Elena (Isabella Gomez), who is becoming sexually active with her nonbinary partner Syd (Sheridan Pierce), and Alex (Marcel Ruiz), who is starting to dabble in drugs. (In episode five, “Nip It in the Bud,” Penelope catches Alex with a vape pen and some pot, then grounds him for much of the remaining season.) As Penelope, Machado navigates all of these issues while sliding easily between broad comedy and tender moments of drama. One Day at a Time also gives Todd Grinnell, who plays Schneider, the super and owner of the Alvarez’s’ building, more opportunities to demonstrate his ability to execute similar shifts. In this reimagined version of the sitcom, Schneider is a privileged, blinkered goofball, but these 13 new episodes present a more nuanced view of him. While still often clueless, he has started to evolve and become a real support system for Penelope. The more poignant scenes between Grinnell and Machado are often touching, so much so that you almost root for them to become a couple. To the show’s credit, it resists that urge. Also to the show’s credit, we are reminded that Schneider is a recovering alcoholic. When he’s visited by his father, portrayed by Alan Ruck as a Republican snob with no interest in masking his close-mindedness, Schneider’s sobriety is challenged, and Grinnell has no problem rising to drama inherent in all that. So what’s the problem with season three, then? A few things. One: After the charming romance she had with Max (Ed Quinn) last season, Penelope starts dating Mateo (Alex Quijano), a friend and fellow parent at her kids’ school. Mateo is kind of bland, which is the point; Penelope isn’t sure whether she has any real spark with the guy. While that’s certainly a real thing that real people deal with, it’s boring to watch the main character in a sitcom date someone who’s boring. You’ve heard of face blindness, the condition that prevents people from seeing people’s facial features? Mateo gave me personality blindness. I kept looking at him, trying to detect a personality, and coming up with nothing. 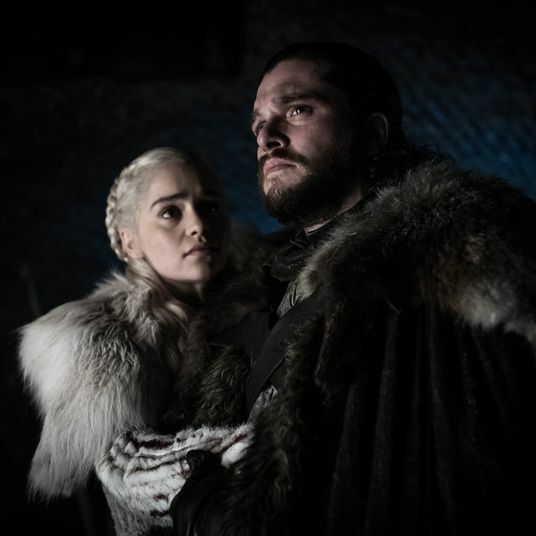 And then there’s the show’s politics, which have by no means disappeared, but feel dialed back from where they were in the previous two seasons. Last season, in particular, devoted an entire arc to Schneider, who is Canadian, and the Cuban-born Lydia getting their citizenship, a story line that was particularly meaningful in light of the heightened debate about immigration in this country. Season three certainly doesn’t shy away from serious matters — right off the bat, in the second episode, a conversation with Alex about misogynistic photos on his Instagram feed leads to the Alvarez women discussing the times they have been harassed by men — but there isn’t the same kind of palpable urgency this season as there was before. One Day at a Time keeps on doing what it does, but the stakes don’t feel as high. And yet, if you asked me for a sitcom recommendation, especially if you’re looking for something to watch with preteens and teenagers, this is one of the first shows I would mention. There’s still plenty to appreciate about One Day at a Time, including a very funny season premiere that features Brooklyn Nine Nine’s Stephanie Beatriz and Melissa Fumero as members of the extended Alvarez family, and a fun guest appearance from Gloria Estefan, singer of the One Day at a Time theme song, as Lydia’s estranged sister. Every time she’s onscreen, Moreno continues to astonish with the amount of energy and style she possesses as a performer. And the series as a whole admirably shows a middle-class Latinx family imbued with a strong work ethic and generous spirit, representation that’s even more valuable than usual. Sometimes One Day at a Time can be a little too traditional in its comedic choices, and yes, it does cut corners when it comes to certain characters’ development. But it’s still unapologetically warm and earnest. As a society, we still need plenty of that right now.